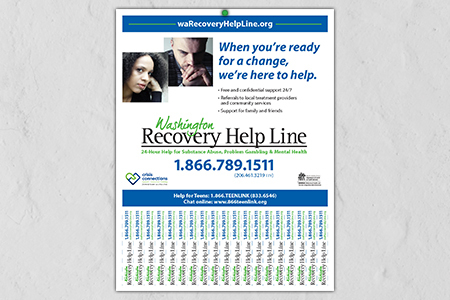 The Washington Recovery Help Line is a program of Crisis Connections. 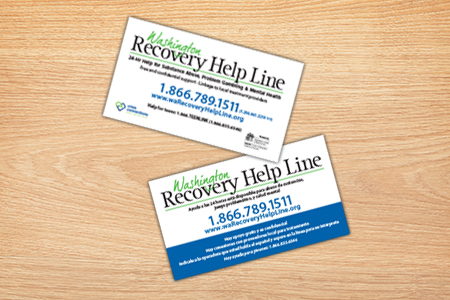 We offer an anonymous, confidential 24-hour help line for Washington State residents. 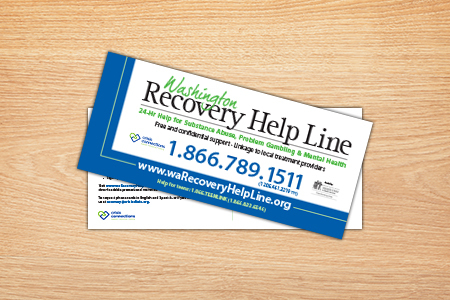 This help line is for those experiencing substance use disorder, problem gambling, and/or a mental health challenge. 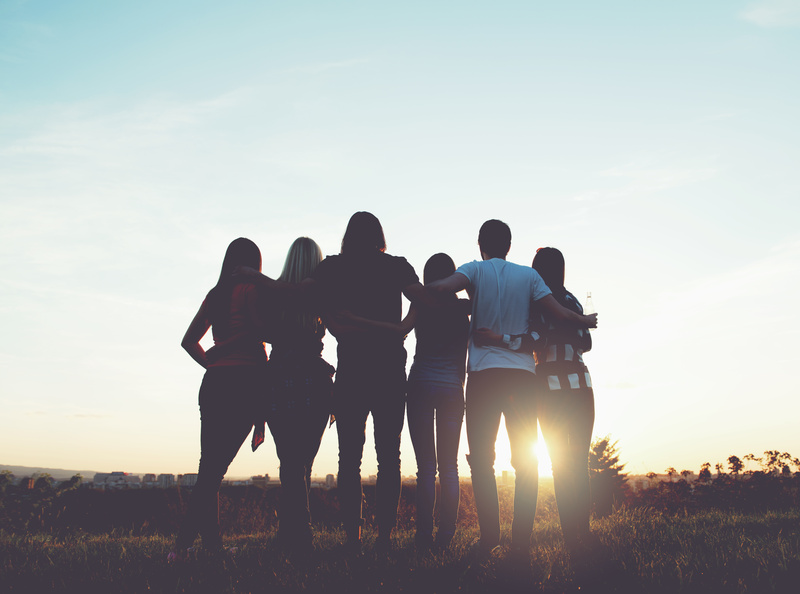 Our professionally-trained volunteers and staff provide emotional support. They can also connect callers with local treatment resources or more community services. Let us help. Download flyers to print out or order rack cards and phone cards below.